The 5th Annual Iowahawk Earth Week Virtual Cruise-In is at end, and what a cruise it was. An amazing display of fossil-fuelers from all over the globe -- over 80 vehicles from 25 states and 5 foreign countries. Worthy contestants all, but sadly only one can claim the coveted title of Grand Champion Carbonator -- and its windfall prize of 1,000,000 Iowahawk carbon credits. Emails have been coming in expressing support for their favorite cars, motorcycles, boats and thermonuclear missiles. To all of you who demanded I name President Obama as repeat champion after his latest Earth Day jumbo jet joy ride, you certainly have a point; but that would be unfair, and Iowahawk is all about fairness. A reasonable suggestion, but unless Mr. Emanuel was on rollerskates no vehicle was directly involved. And, while I appreciate the irony of his gastric faux pas, the total pollution created sounds to be minor (though Mr. Rose may beg to differ). I'm afraid this fart was the equivalent of a high school boy's Honda ricer, or Rahm himself: loud, threatening, sputtering, but incapable of doing any real damage. 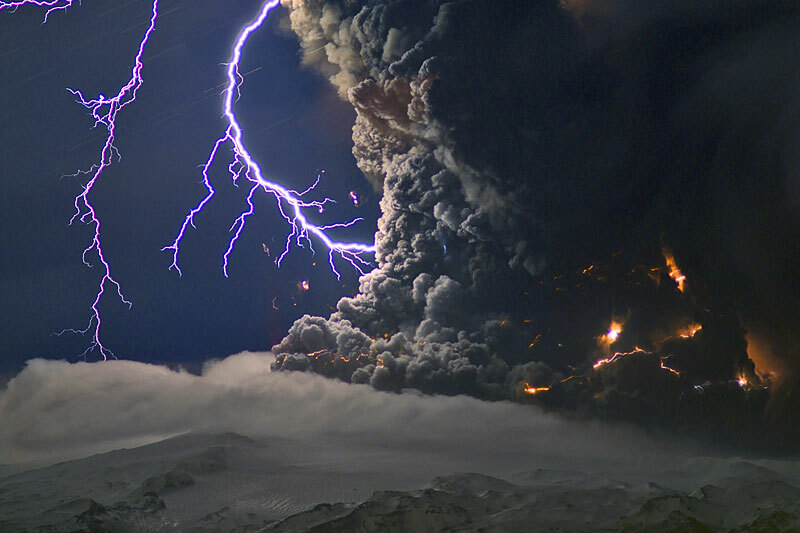 I might be stretching the rules a bit, but as a passenger on Spaceship Earth, I would like to nominate God Almighty in recognition of His making arrangements to blow the lid off of the polar ice cap with the Eyjafjallajokull (ay-yah-FYAH'-plah-yer-kuh-duhl) volcano in Iceland this week. What a great way for the Creator of all that there is to honor Al Gore, tree huggers and Earth Week. And as an added bonus, it got me out of trip to Brussels this weekend. Congrats Milt! According to some stats I looked up, during that burnout this one tailpile on Musclecar Earth was alone blowing out 750 tons of carbon ash per second. 300,000 tons of CO2 per day. Enough to fill Yankee Stadium every few seconds. And way more than enough to match the output of the 60,000 jets she left in the dust, the carbon equivalent of creating a typical medium-sized European consumerist democracy on a 2-month holiday at an Ibiza techno music fest. Uhnt uhnt uhnt. Will Gaia's latest volcanic tantrum result in atmospheric warming? Cooling? Who knows? And therein lies the beauty of our favorite eco-pinup girl. Lord knows I can't resist a pretty gal with an unpredictable, crazy, violent, and self-destructive streak, and I have the cranial dents to prove it. By proving once again she can out-crazy them all, Gaia has won a permanent place in our hearts, and the Cruise Week Carbonation Ring of Honor.